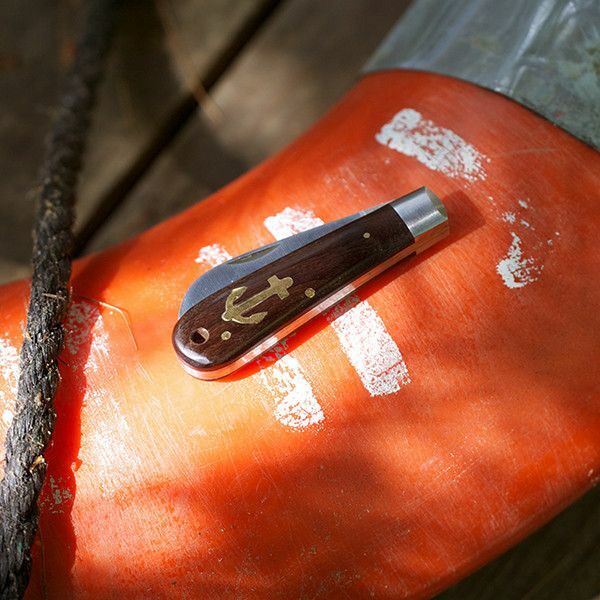 Handmade by a German brand named for the most adorable seafaring mammal of all time, Otter-Messer’s anchor pocket knife is exactly the sort of blade Popeye would reach for if a soggy-with-grog sailor ever tried to put the moves on Olive Oyl. The folding knife is laid with a brass anchor inlay just begging to be handed down, and may actually be tougher than Popeye at his most spinach’d-up thanks to its steel blade and hardwood handle. It’s yours for $48 USD at Best Made Co.
RELATED: THE MALT LIQUOR CREWNECK IS HERE. POUR ONE OUT FOR YOUR OLD SWEATSHIRTS.